How to use the arts and culture as engines of cities' economic growth? That is the focal point of creative placemaking – a process in which partners from public, non-profit, private and community sectors join to strategically shape the urban areas around using arts and culture. 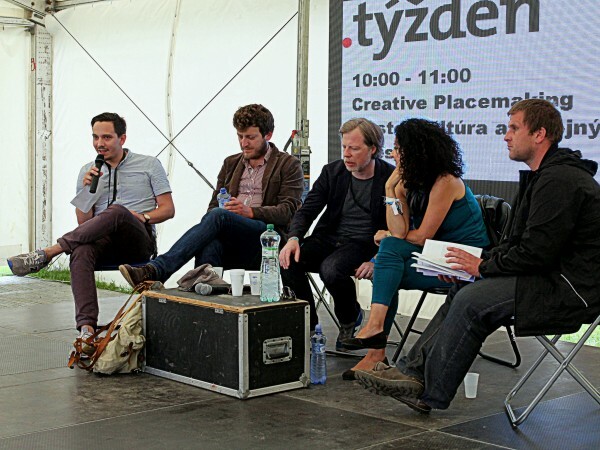 Aspen Institute Prague organized a public debate on creative placemaking within the Pohoda 2014 open-air music festival. We invited four distinguished guests who all have experience with cities' transformation from very different angles. 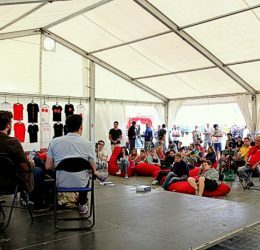 A few years ago Marek Adamov opened a culture center Stanica Žilina-Záriečie – a space where locals can meet and enjoy culture. 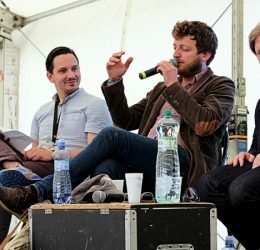 Zora Jaurová promotes creative industries in Slovakia. 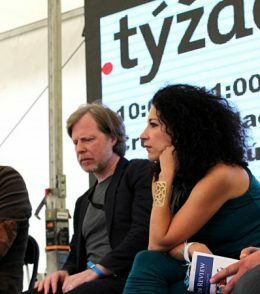 Zora is the President of the Creative Industries Forum and former artistic director of Košice, European Capital of Culture. Ondřej Kobza is an entrepreneur who runs several cafes in Prague that stream with life. He also attempts to improve public space – one of his successful and well-known projects is Pianos In the Streets. Igor Marko is a Slovak architect residing in London. Two years ago he opened Marko & Placemakers, a city design and research consultancy focusing on transformation of cities. Our guests shared their personal motivations for improving the public space around them and their perceptions of creative placemaking.. Particularly, they discussed how to promote cooperation between the public and private spheres and the citizens to work together. 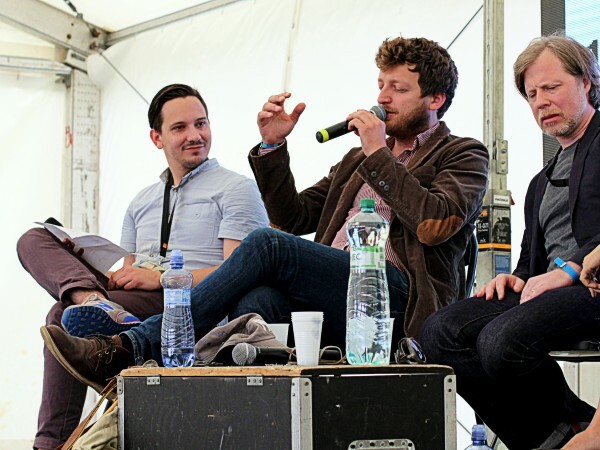 "I don't really understand terms like creative industries. I am fascinated about psychology of people who want to change something around them. What drives them to do that? ", said Ondřej. Igor focused on the public consultations that anticipate urban changes. "You need to create a well-structured process so that all the people involved are informed and have opportunity to be involved in the process." 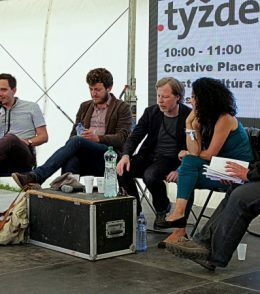 "Central Europe is a region where post-communist society meets with post-industrial legacy, which makes very unique circumstances for creative placemaking", claims Zora. "At Stanica we realized that life is short and we should create one place, because we feel that together we can change it. It is a small space and thus we know what happens there," explained Marek. Take a look at the photos and videos from the debate. 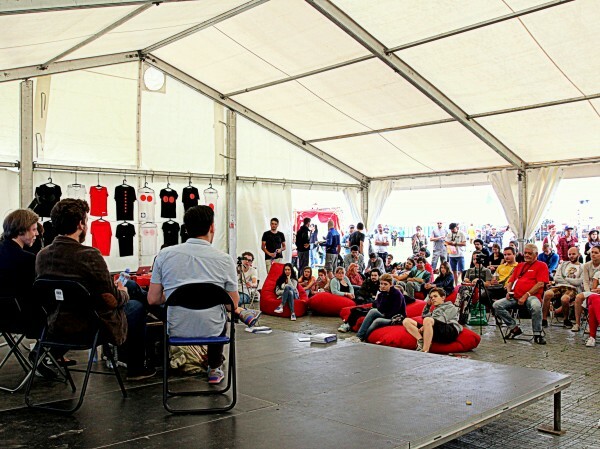 If you are interested in the area, join the Creative Placemaking Festival that will take place on November 6-7, 2014 in Prague and Pilsen. More information HERE.